The workshop I attended last night started off by telling parents that they need to go into the entire process with the idea that they are an equal partner in their child’s education. You may not have a fancy title behind your name or a license but you are an expert. You are an expert on your child. After the cheerleader pep talk the workshop got really interesting. Now I have attended a few of these IEP meetings already, and yes I admit, I became emotional. Every parent wants what it is best for their child. But as the mom of a special needs child, well I feel a stronger need to protect him. But going in there ready for a fight is really not going to be productive. Instead I was reminded, I should go in there prepared. And what I mean is prepared to answer the one question, the most important question of all that will always be asked at every IEP meeting be it the initial one or follow up one: “What are your concerns for enhancing the education of your child?” If you go into that meeting with two or three valid concerns that you have along with reasons why these are legitimate concerns, (Bring in work if you have it to show as example or be able to tell about a particular incident that occurred if you are talking about social or behavioral concerns), you now will be seen not only as a parent, but as a parent who is there to advocate for their child. You did your homework. You have observed your child, you have talked to the teacher ahead of time, you are prepared to work with the IEP team to develop a plan to help your child. The team will see you differently, as an equal in the process. Oh and having a sense of humor really helps. After all laughter really is the shortest difference between two people. Do you have IEP experiences you would like to share? Tell me and others about it. Funny that you posted about IEP meetings. My son’s IEP meeting is this week. Fortunately, I am actually looking forward to it. I really like the school system we’re in now, and the teachers/staff have been a supportive team concerned with the welfare of the students, and I never feel that I am playing defense while they are playing offense. That was not the case, however, when we lived in another state when he was in second grade. That was the year he was first tested. His teacher expected him to participate in circle time activities, work in groups, and speak in front of the class. She tried to encourage him, but he withdrew, and then she would punish him for not doing something and he would have a huge meltdown (he would whine “I can’t do it” and the teacher would say “Of course, you can, you just have to try” to which he would yell “No, I can’t—why can’t anyone understand?”). The cartoon is very representative of that year for me. They didn’t want to alter anything until he was tested. So, the school performed their evaluations and my husband and I took him to a child psychologist and my son was diagnosed with general anxiety disorder (the next year it was ADHD and then ultimately Asperger’s). When I look back at my first IEP meeting that year with the principal, teacher, county social worker, school psychologist, speech therapist, school counselor, and learning support coordinator, it was very overwhelming and emotional because my husband and I were struggling with the fact that our son had a problem. And it didn’t help that I had differences with the rather distant teacher and stern principal (who was hired because of her record of improving school test scores and who frequently pointed out how my son refused to take/finish the standardized tests). You make a great point of bringing in humor—it might have helped if I had more of one that year! There is always going to be someone you don’t see eye-to-eye with and humor can break the barrier a bit. Kristin… your reply post just inspired me to post about our bad year… which was last year. So instead of responding… I am going to do it as a post so that more people besides us can read it. It may help someone else to know that it gets better. there are good years it seems and bad years… but we get through. Two small tidbits to point out concerning IEP meetings…. I am one of those “special ed teachers” who get to lead those meetings. My best meetings are those with a parent who feels like they are part of the team. It’s sometimes hard to establish in a meeting, but nonetheless, important. One aspect that leads to this partnership is perspective. Perspective is one of those grey areas, and everyone around the table has one! The school representatives must look at how any disability impacts the “education” of a child. From an educational perspective, does the behavior or lack of a skill impact the child’s ability to read, comprehend, write, compute??? Yes, it’s great for parents to come in with concerns and data or samples, but they have to stand back and be objective also. A child may throw temper tantrums at home, wet their pants, hits their siblings, cries when he doesn’t get chicken nuggets or can’t tie their shoes. If they don’t demonstrate this behavior in the classroom setting, or if it doesn’t impact their learning, the IEP team may not address these needs through IEP goals and objectives. So when you come “prepared” to IEP meetings, it helps to zero in on those behaviors or skills the child needs for learning the school material. The second point is about how much your child may receive. IDEA and the many court cases which form our “laws” that govern Special Education, speak to raising the bar for sped kids, but it’s just inches higher than it was 20 years ago. In the past, sped kids just needed to be entertained while at school. Now, though, they should be educated using the same curriculum at non-disabled peers. But schools are not required to assist a child “reach their potential,” just the minimum. I’ve heard many parents question (looking at scores on psych testing) If their child has an average or above IQ, why aren’t we helping them reach their potential. The law only says we must instruct them as we would their peers, and give them minimum education. I am not saying that teachers don’t teach sped kids. Just that we aim for progress and forward movement, not necessarily the distance. I am not a firm believer of giving sped kids standardized tests! It is probably just as frustrating for the teachers giving the test as it is for the students. Sitting in a room with 10 sped kids who can’t read, administering a reading test not only for the 3 given hours, but extended time and a half (total of 4.5 hours) is excrutiating. Some are sounding out a paragraph letter by letter, phonetically, some are heads down, some are filling in nice patterns of dots, and there’s always one who throws it out on the floor. Testing halts, causing the time to halt, and sending us into overtime hell. It’s not pretty. If there were something I wished parents would ralley for, it would be the abolishment of standardized testing for sped kids. One last thing, SPED is good! It is not a discipline measure. 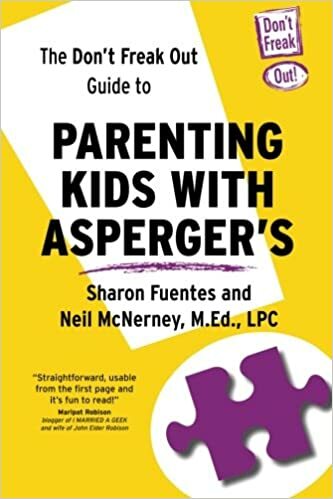 If your child can get into sped, receive some small group or one on one instruction, some OT, maybe a little speech, a half hour break out of their classroom each day, a chance to have a better explanation of how to subtract with regrouping, recognition for those baby steps it takes to get there, why would you refuse this? It’s a gift in itself! OK there! I’ve said my piece/peace. Thank you for this great perspective. This year’s IEP meetings have been good… although I still feel he should be getting some OT but that is still being discussed. Anyway all the points you made were very valid. Yes you are right… a parent does need to set their emotions aside and approach the meeting objectively which is very very hard to do. I love the idea of bringing a friend. Thanks again for sharing.